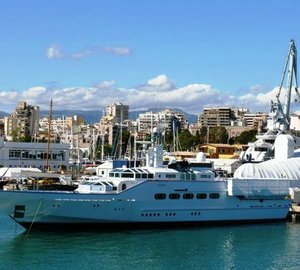 LIMITLESS is a 21.37m (70' 1") modern open-style sports yacht offering speed and comfort at the same time. 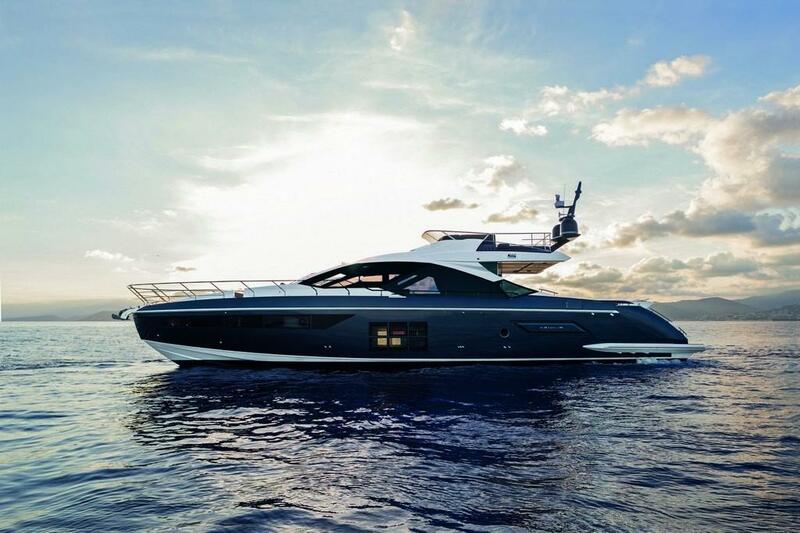 She was built by the Italian Azimut shipyard in 2019 and offers deluxe interiors by Francesco Guida, accommodating up to 8 charter guests in four cabins. There is a crew of two on board. The lower deck swim platform leads up to the main deck aft, where there is a broad sunbed along the stern and beneath the flybridge overhang there is an L-shaped sofa and coffee table to port, a barbeque to starboard and a stairway down to the crew accommodation. The foredeck has a C-shaped sofa and a broad sunbed over the bow. On the flybridge there is a C-shaped sofa forward and port with the helm station opposite and a sunbed behind. The lower deck hosts the guest and crew accommodation with a large tender garage to store the water toys in the stern. On the main deck, the helm station takes up the forward starboard space with a stairway in front leading down into the guest accommodation. To port there is a spacious galley and the aft lounge is furnished with a port C-shaped sofa and coffee tables, opposite of which is a cabinet with a pop-up widescreen TV. 3 x Volvo PENTA D13 IPS1050 producing 800 HP allow for a top speed of 36 knots and a cruising speed of 30 knots for less time in transit while island hopping. The accommodation sleeps a maximum of 8 guests over 4 en-suite cabins: 1 Master suite, 1 VIP stateroom, 1 twin cabins and 1 bunk cabin. The Master suite is placed amidships and is fitted with a king-sized bed placed diagonally in the room, leaving space for a daybed beneath the port windows and a starboard sofa and desk. A partition wall mounted with a widescreen TV hides a sink behind, and there is also a large shower, toilet and bidet and a walk-in wardrobe. Forward of the Master suite is a port side twin cabin and a starboard bunk cabin suitable for children or staff. A shared bathroom is adjoined to the twin cabin, and contains a toilet, sink and shower, and the twin cabin also has a wardrobe. The VIP stateroom is forward-most and in addition to the queen-sized bed there are two wardrobes and an en-suite bathroom, also with a sink, toilet and shower. The crew of 2 are accommodated in a bunk cabin aft of the Master suite which is accessed separately to the guest accommodation. We do have available further amenity, owner and price information for the 21.37m (70' 1") yacht LIMITLESS, so please enquire for more information.